Post sponsored by Lunchbox. Opinions are 100% my own. For reals. I’ve mentioned before how my showers tend to be the only “me” time I get, especially when I’m juggling school, work, and my blog. Well… now it’s “me and cat” time because for some reason he likes to sit outside the tub and meow until I come out. Regardless, I like the experience to be a little more luxurious and really treat myself to bath products that will give me the feeling of stepping out of a spa. Just like with makeup, your products can only deliver so much on their own. It’s the tools you use with them that can really boost their performance, and that definitely goes for your bath and body products, too. Using the right bath tools with products like body wash and scrubs can help your skin soak them in to the max. 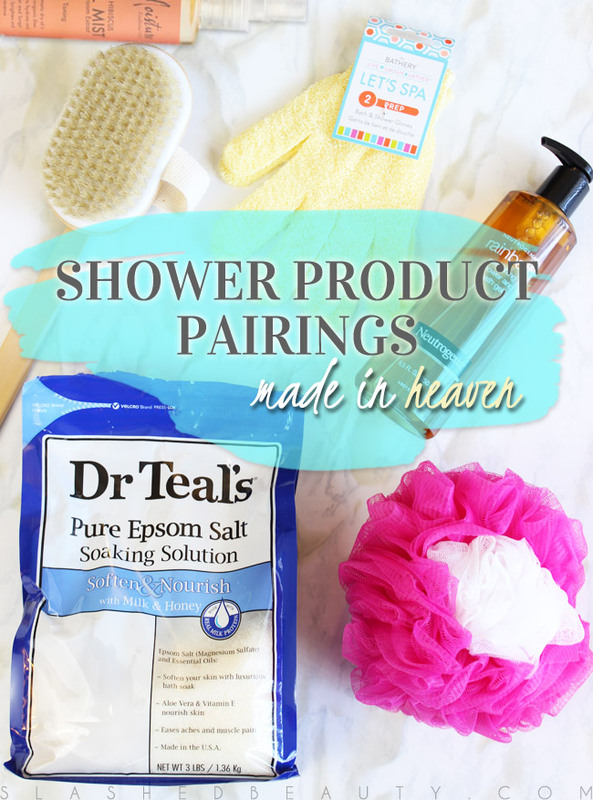 Just like my favorite bath products, I can find the perfect pairings without spending a lot. Target just launched The Bathery line of bath and body accessories, and three of them are already well-loved during my shower routine and work well with some of my favorite products to bring out the benefits! First off, if you’ve never used Neutrogena Rainbath, do so immediately. It’s one of my all time favorite body washes, and can also be used for bubble bath or shaving gel. It has a spicy scent that’s intoxicatingly calming. I’ve been using it with the 2-in-1 Bath Sponge, which has a coarse side for exfoliation and softer mesh for foaming product and cleansing. Together, they leave my skin clean and super soft. 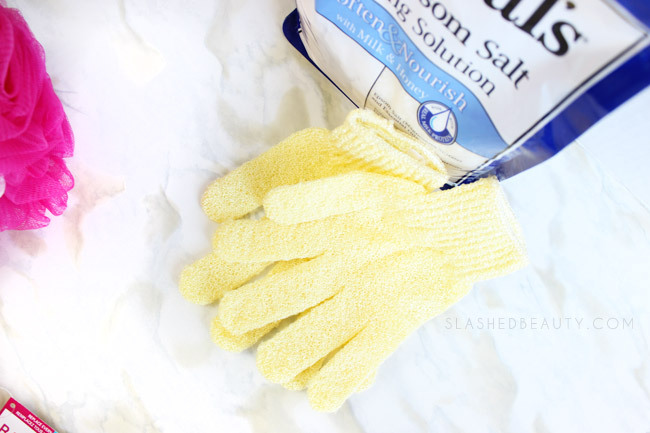 I’ve always loved using exfoliating gloves in the shower to gently remove dry skin, but I only recently tried them paired with epsom salt— OMG. Such a great combination for rougher areas like the soles of the feet. 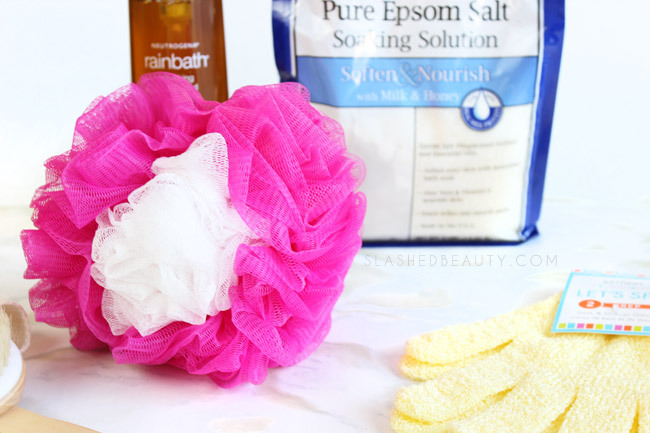 Epsom salt soften and nourishes skin while exfoliating and is often used in spas for scrub treatments. Do it at home and save tons of money! 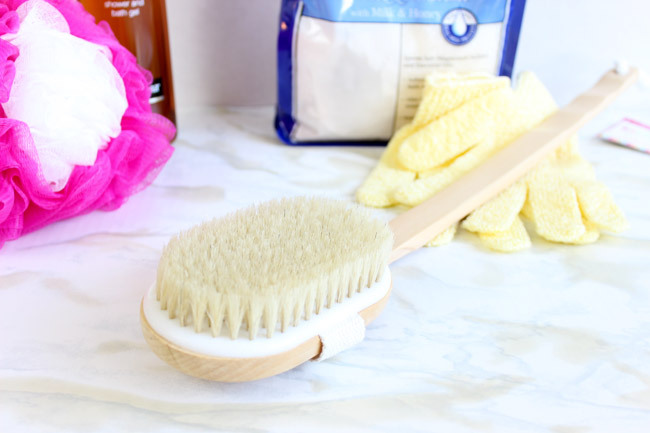 I’ve recently jumped on the dry brushing craze— as in, using a bristle brush on your dry skin to unclog pores on your body and extract toxins trapped in the skin— and this brush is absolutely perfect for it. It has a long handle so you can reach every corner of your skin, but the head comes off and you can slip it onto your hand for more control. After dry brushing, follow up with a body oil like the SheaMoisture Coconut & Hibiscus Dry Oil Mist to restore moisture; it will sink in super deep into your skin after this routine! Between 8/2-9/5, you can ask your Beauty Concierge for tricks to using the dry brush for the best effects. You can find The Bathery products in the body care aisle of your local Target, and don’t forget to use Cartwheel to grab them even more affordably! You can get 15% off the entire line from now until 9/19/15 with this coupon. The Bathery Poufs will be in the Value Valley until 9/5/15, and they’re also offering BOGO 25% off the entire line in stores until 9/12/15, sweet deals! 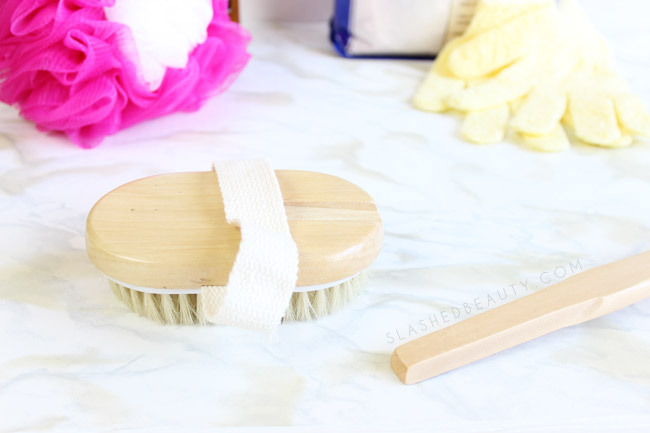 Check out Ruth’s blog, Viva Veltoro, for more shower product pairing ideas with The Bathery! 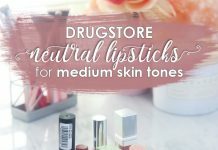 What are your favorite product pairings? All of my favorite things in this bunch here… I think they are totally essential for a great spa day at home. LOVE these items! I splurged the other day on a ton of them! Those gloves are so handy to have. I need to get to Target and buy a dry brush since I’ve never tried one. I love a good brush for dry scrubbing 🙂 Great pairings! Dry brushing is great! I never thought I’d like it. I don’t really have a pairing I love; I use shower gel with a loofah, and when my razor runs out of soap (it is the kind that has soap all around the razors I like to use my Dove sensitive skin soap for shaving. I need a dry brush asap! That’s the salt I use to soak! It’s amazing how nice and rejuvinating an Epsom Salt soak can be! I’ll have to check out this new line next time I’m at Target.